Is beaming down in Star Trek a death sentence? After you’ve been taken apart by the transporter, you’re put back together somewhere else, good as new. But is it still you on the other side, or is it a copy? Posted in Movies & Television. Tagged Star Trek. September 8, 1966–NBC broadcasts the first episode of Star Trek, and the world is introduced to Captain James T Kirk and the crew of the USS Enterprise. 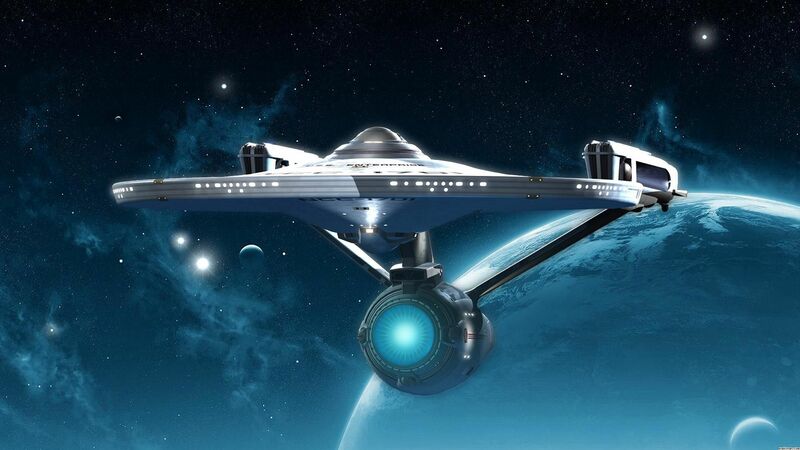 The original five year mission of NCC-1701 has been extended to 50 years of sequels, movies, and re-boots. Posted in Movies & Television. Tagged Star Trek, Star Trek TOS. A great article from Smithsonian magazine–commentary from actors, writers and producers about the three seasons of “Star Trek” (The Original Series, or TOS, to us Trekkies). 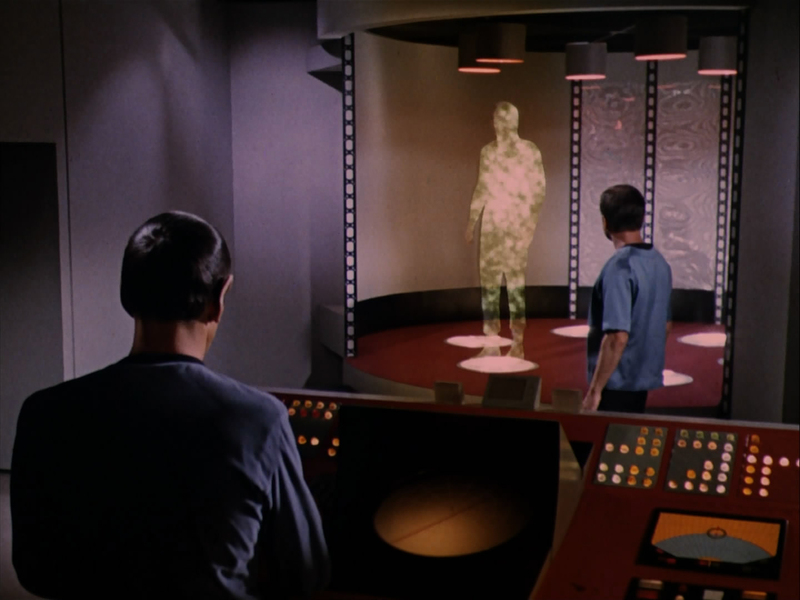 In oral history form, the articles details the struggle to get the series accepted; Lucille Ball’s role in keeping it going; the ongoing battle of Shatner vs Nimoy; and how Paramount ultimately killed off the series, only to reap a fortune with its revival in the form of movies and spin-off series. Interesting stuff! Don’t miss it! 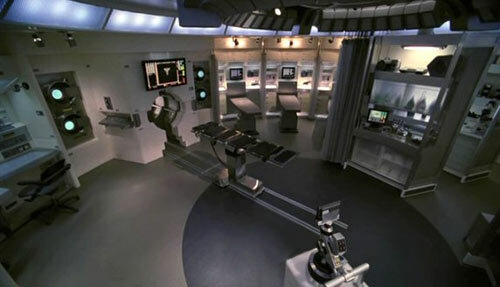 …to NCC-1701-D Main Sickbay for a 12 hour shift. Posted in Uncategorized. Tagged Star Trek, USS Enterprise. 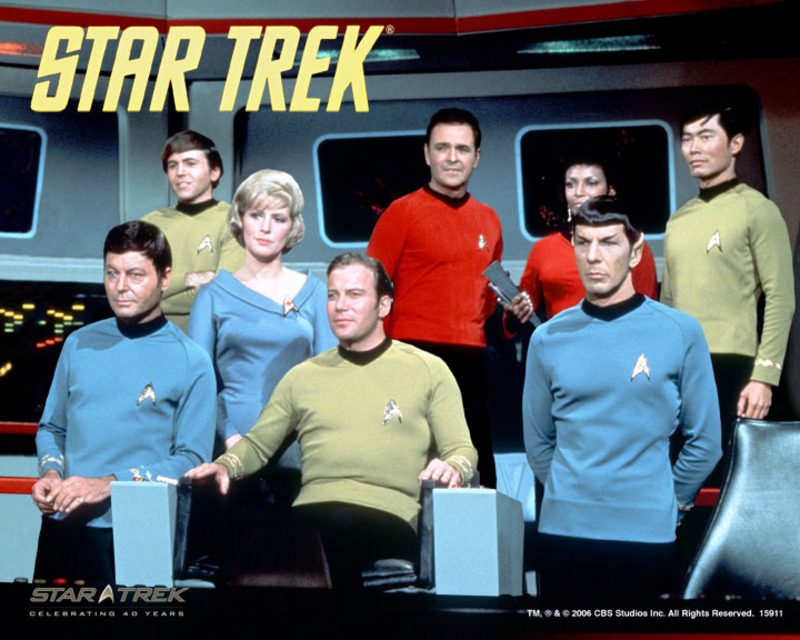 On this date in 1966, the Star Trek (the original series) aired on NBC. Geeks everywhere celebrated. Four of the actors (Leonard Nimoy, DeForest Kelley, James Doohan, and Grace Lee Whitney) in this photo are no longer with us. I am beginning to believe Bill Shatner will live forever. We are all Spock! The Vulcan lives on in Captain Kirk’s mosaic. William Shatner’s portrait of Leonard Nimoy composed of a mosaic of selfies taken by fans is … actually quite good. As a piece of pop art in the tradition of Andy Warhol’s celebrity portraits, it is touching and vivid. It is a moving homage to Spock and his relationship with his fans. Shatner asked his Twitter followers to send him selfies in which they gave the Vulcan salute, the famous greeting associated with Leonard Nimoy’s pointy-eared alien character in Star Trek. He did not say what it was for. 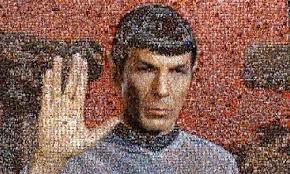 The images have all been put together in a huge mosaic to create a picture of Nimoy himself, as Spock, making the Vulcan salute. Posted in Movies & Television. Tagged Captain Kirk, Leonard Nimoy, Mr. Spock, Star Trek, William Shatner. 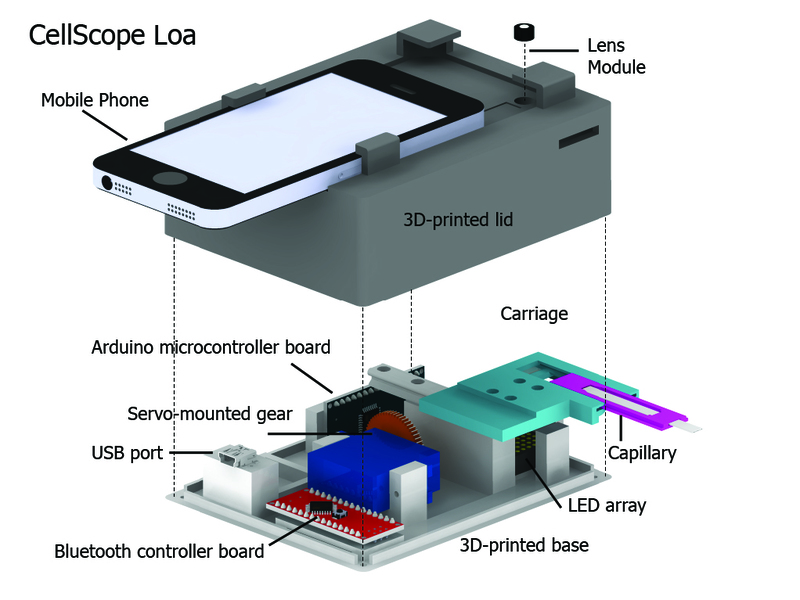 The researchers created a handheld device that converts a smartphone into a video microscope and uses custom software to record and analyze movements in blood cells that signal worm larvae are wriggling, said UC-Berkeley bioengineer Dr. Daniel Fletcher, who led the work. “We’re using this phone not just as computer power or for its camera, but to run the test,” Fletcher explained. How it works: Squeeze a finger-prick of blood into a small tube and slide the tube into the 3-D printed base. Click the smartphone on top, its camera lined over the blood sample. Touch the screen to start an app and an image-processing system analyzes wriggling motions that are the size and shape to be of concern, and reports a count. Posted in Uncategorized. Tagged Cellscope Loa, Loa loa, Smartphone app, Star Trek, Tricorder. Posted in Uncategorized. Tagged Adobe Flash Player, Star Trek. 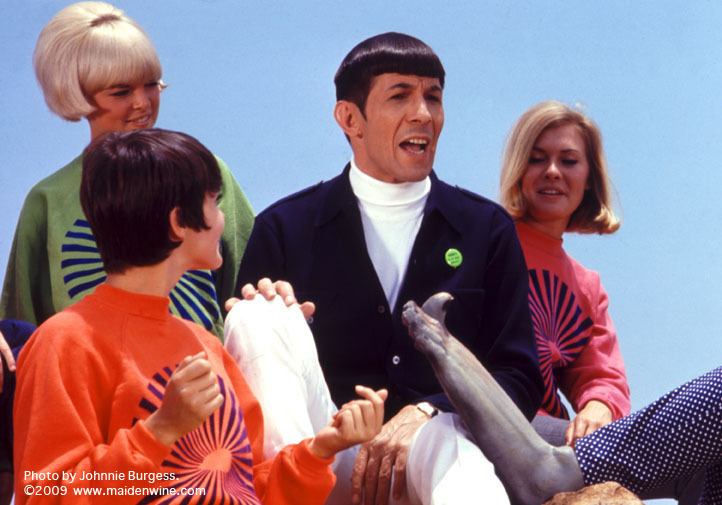 Leonard Nimoy singing “The Ballad of Bilbo Baggins”–actually pretty nerdy and goofy, but what the heck! Posted in Uncategorized. Tagged Bilbo Baggins, Leonard Nimoy, Star Trek, The Hobbit, The Lord of the Rings. 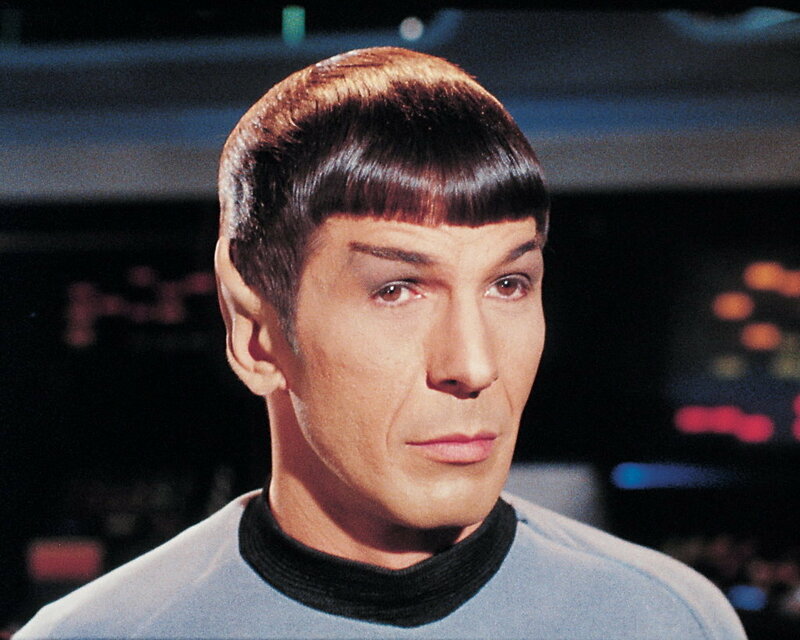 Leonard Nimoy died this morning at his home in Belair. He was 83. Posted in Uncategorized. Tagged Leonard Nimoy, Mr. Spock, Star Trek, Star Trek TOS.